Bastl 1983 – 4-Voice MIDI-CV Interface 8CVs, Self-Tuning! Bastl MIDI-CV Interface „1983“ – mit 8CVs, 4:1, 3:1 Mono/Poly Modes, etc, Tuning, 430Hz-Tuning etc. 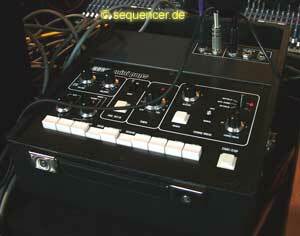 10 OSCs analog drums, 0 LFOs, 0 EGs, no FILTERs , simple sequencer, no arpeggiator more..